Marvin Test Solutions (MTS), provider of test solutions for military, aerospace, and manufacturing organizations announced the expansion of its PXI Express (PXIe) product portfolio with the introduction of three new PXIe chassis : GX7100e, GX7205 and GX7215. The chassis offer a combination of PXIe, hybrid slots, and PXI-1, allowing users to configure the combination of resources for general purpose as well as high-bandwidth test applications. Like MTS’ other PXI chassis, all three support Smart functions including system power supply, slot temperature, and fan speed control/monitoring as well as PXI trigger mapping. 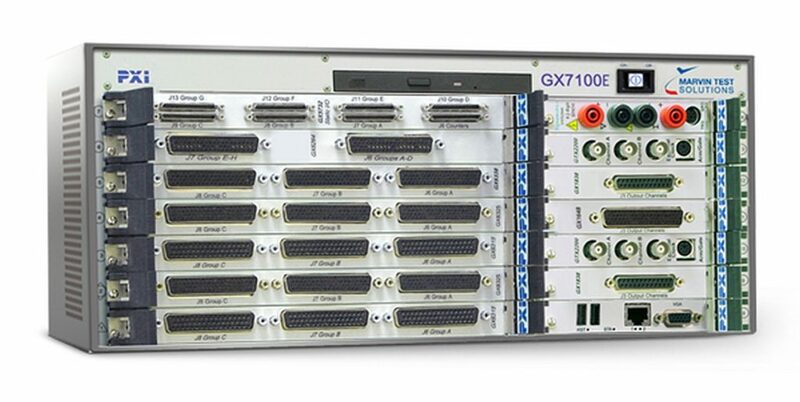 The GX7100e Series are 14-slot PXIe 3U/6U combination Smart chassis with a 4×4 Gen2 backplane, and support both external and embedded controller configurations. The combination of 3U and 6U slots provides versatility and flexibility in a compact footprint. The GX7100e will be featured at Autotestcon, September 11 – 14, 2017 in Schaumburg, IL, along with Marvin Test Solutions’ complete range of products, systems, and services. 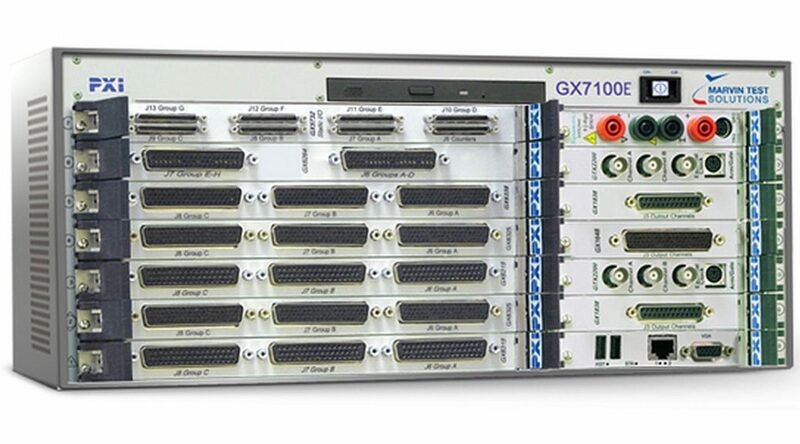 The GX7205 and GX7215 are high-power chassis that are part of the GX7200 Series, and feature a 4×4 PXIe lane architecture with 21 slots, accommodating up to 20 intruments plus a single-slot controller. 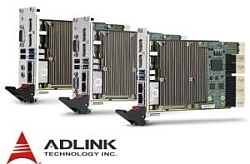 The GX7200 Series chassis support both external and embedded controller configurations. The GX7205 and GX715 feature a 1400 W system power supply for high power applications and the cooling necessary to dissipate the additional heat.